Maintain a streamlined inbox in Apple Mail. 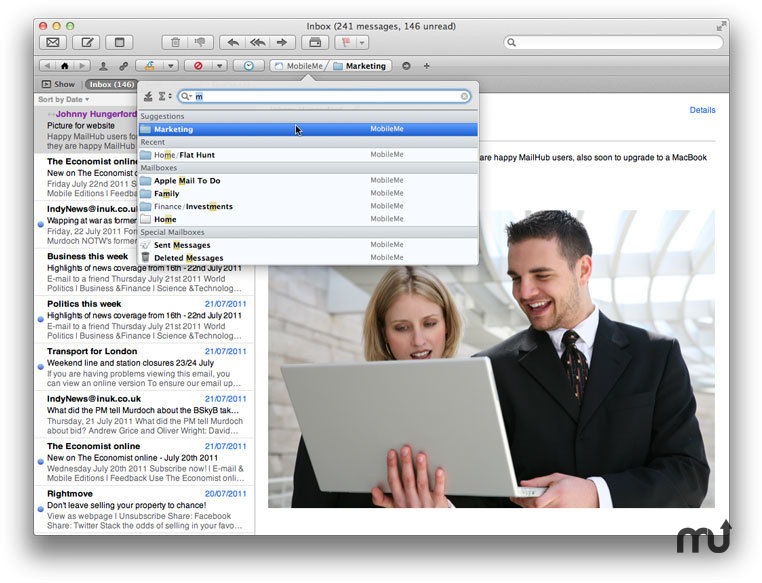 Is there a better alternative to MailHub for Mountain Lion? Is MailHub for Mountain Lion really the best app in Email category? Will MailHub for Mountain Lion work good on macOS 10.13.4? MailHub for Mountain Lion is a time-saving email management plugin that can file, delete, or enact actions on emails without leaving your inbox. Email from a contact or thread can be batch-filed to a mailbox (or deleted) with a series of simple mouse clicks or key strokes, radically reducing time spent on mail administration. MailHub even allows you to specify filing destinations for an outgoing message during composition. Create new mailboxes as you go and set action reminders so you won't forget a vital task at a later date. Version 1.3B71: Release notes were unavailable when this listing was updated. Note: this update will accept your license key from the Lion or Snow Leopard versions, and is a free update if you own a license already.